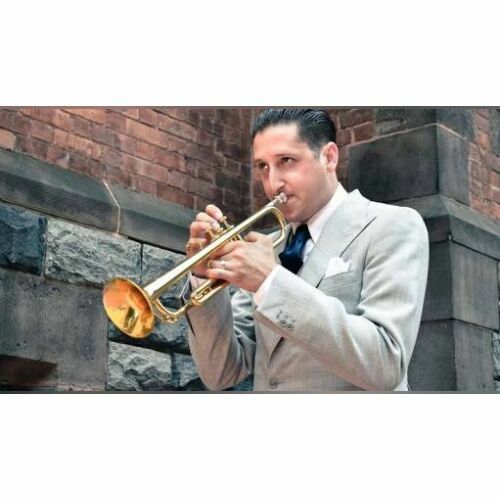 Brian Newman (born June 10, 1981) is an American jazz musician, singer, and trumpet player. He is most known for his numerous performances with Lady Gaga and her surprise appearances at his performances in New York City. Newman currently holds a residency at the Rose Bar at the Gramercy Park Hotel in New York City and is married to American burlesque performer Angie Pontani. Brian Newman was born on June 10, 1981 and raised in Mentor and Concord Township in Cleveland, Ohio. He told his mother at age twelve that he wanted to grow up to be a New York City jazz musician. He began playing at age nine and made his public debut at age 14. He is a 1999 graduate of Notre Dame-Cathedral Latin High School. Concerning his youth in Cleveland, Newman stated, "That's one thing Cleveland and my family taught me well—the importance of hard work...There are a lot of hard workers in Cleveland." He attended the University of Cincinnati's College-Conservatory of Music in Cincinnati, Ohio. He is married to Angie Pontani, a burlesque dancer who was Miss Exotic World 2008. Along with other graduates from Cincinnati's College-Conservatory of Music, Brian began performing in venues across New York City including the Oak Room at the Plaza Hotel, and Duane Park. Newman has also performed trumpet for Tony Bennett and Mark Murphy. When he first arrived in New York, Newman served bar and waited tables between performances to help make ends meet. Newman's music was featured in the 2011 film, Friends With Kids.